Projector Hire - Hire 1080p, 4K UHD and Laser Projectors from our London Offices. Whatever the occasion, we have the projector. Why choose ProjectorPoint for your projector rental? Quality : All of the projectors on our hire fleet are very user friendly, recent models from premium brands , with high specifications - minimum Full HD 1080p resolution resolution and 3500 lumens. Checked : Each & every projector is checked and tested before every despatch ensuring optimum reliability. All projector rentals are shipped with a remote control, cables and manual. Delivery : We deliver the projector the day before your first days hire, giving you plenty of time to set up and practise. We only charge you for the day(s) you use. Flexible : Where possible, we are happy to offer tailor made solutions specific to your hire whether small or large scale. 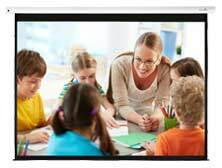 With direct links to all the major projector manufacturers, we can source virtually any projector. Help : Where possible, should you have any queries or difficulty setting up the projector we are readily available and happy to help, simply call us free on 0800 073 0833. 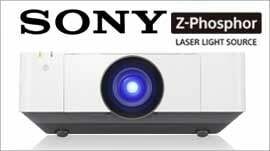 Whatever your hire projector need, we have the projector..
Our projector hire fleet in more detail. Widescreen 16:9 aspect ratio, high definition resolution (1920x1080 pixels) suitable for connecting to blu-ray dvd players, Playstation 3 or pc/laptops with high definition output. When connected to a 1080p source this projector will produce over twice the image clarity of our standard XGA resolution office projectors. Prices from £99 + vat per day. Please note: This projector is not suitable if you intend to photograph or video the projected image. Our short throw hire projector is ideal for people who have limited space but still want to reproduce large projected images. This projector is capable of producing the similar image size of a traditional hire projector but from half the distance between projector and screen. Prices from £105 + vat per day. Widescreen 16:10 aspect ratio, high definition resolution (1920x1200 pixels) suitable for connecting to sources with HDMI or DVI output. The projector features a 1.35 - 2.2 : 1 Zoom Lens. Perfect if you need to photograph or video your intended projected image or where finite detail and clarity of the projected image is paramount. All prices listed exclude VAT, delivery and collection charges. Do you need to hire 5,10,20 or more projectors in one go for an event access multiple locations? Perhaps you need a specialist installation projector with particular lenses for your project? With a projector stock holding of over 600 projectors and direct links to all major manufactures, we are happy to create a bespoke quotation tailor made to you your needs.